Our Floor Stand is the perfect answer for those who are not able to mount their G-1000 to the wall. 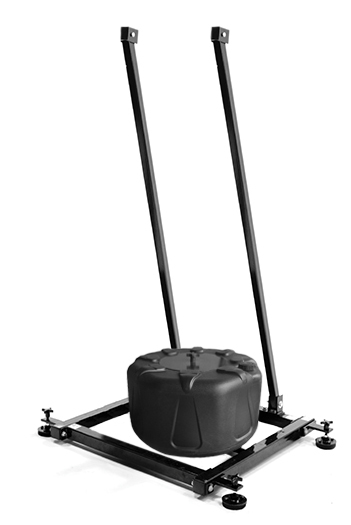 This new Floor Stand design comes with an XXL water tank and (4) four adjustable foot pegs. The Floor Stand also comes with mounting hardware allowing you to bolt it to your floor to provide an even more secure mount. It takes up half the space of a treadmill, with a 3′ x 3′ footprint plus the additional foot pegs on the corners.